Alcohol Ink is a vibrant medium with a life of its own.. Lots of excitement and ‘ooh’s and ‘ahh’s abound with this colorful medium. This introductory class is perfect for beginners of all ages. Cost is $15 per participant. 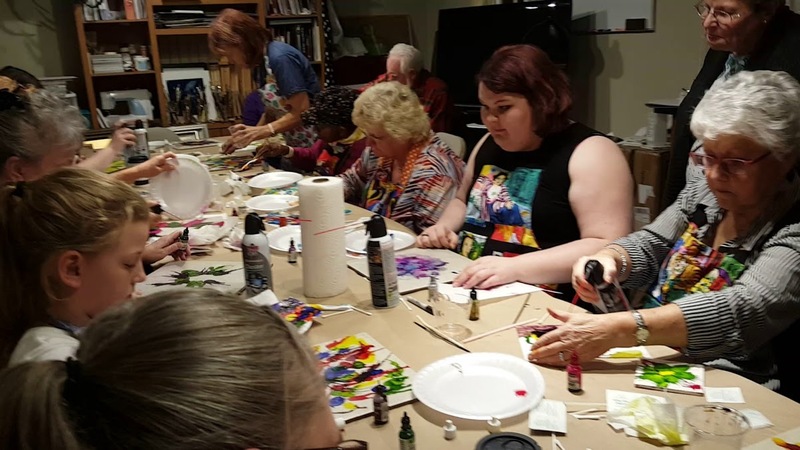 There is not currently an Alcohol Ink class scheduled, but you can get a group together and schedule your own class at Johnson County Center for the Arts.